Bay and bow windows have now become a popular choice among homeowners. Whether it’s a new construction that they’re doing or a renovating/ redesigning their existing homes, these windows are a great addition to any home. Not only do they enhance the aesthetics of your house from the outside, but they provide a uniquely shaped bay on the inside. Moving on from the aesthetics factors, a bay window make your room appear spacious, thus letting in more light and air. More Light: Be it a bay window or a bow one, both of them projects outside the external walls of a room. Since these windows tend to bulge outwards, so they let in more natural light to enter your rooms. The flankers can be opened up for better air circulation and ventilation. Bulging out from the side of your home, these windows are placed upon a curve to get a dramatic three-dimensional effect. Both bay and bow windows make your room appear larger than it actually is and also increases your view of the surroundings. 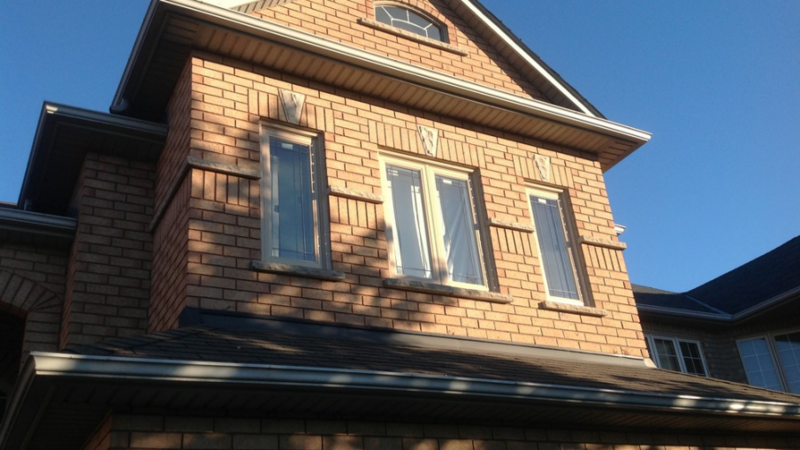 Improved Appearance: Just because bay and bow windows project outward from your home’s exterior walls, these window styles – commonly found on Victoria homes – lend an elegant and sophisticated look that adds appeal and value to your house. Add-on space: Bay windows are specifically designed to make your room appear larger. While standards windows are simply a flat pane of glass placed in line with your wall, a bay window – because of its protruding shape – creates an illusion of the whole space being larger. The window space can be utilized in a number of ways to add that design appeal to your room. You can either have a great window seat built in this space and with a bookshelf and some plush cushions to make it a cosy and comfortable reading area. Or if you have bay window installed in your kitchen, then you consider fitting in your dining table in this area. Alternatively, you may also choose to use this space to have a chest with a flip top and use it as a storage space. Having said these, you can understand that installing bay and bow windows will not only provide superb visual appeal, but improved overall performance as well.